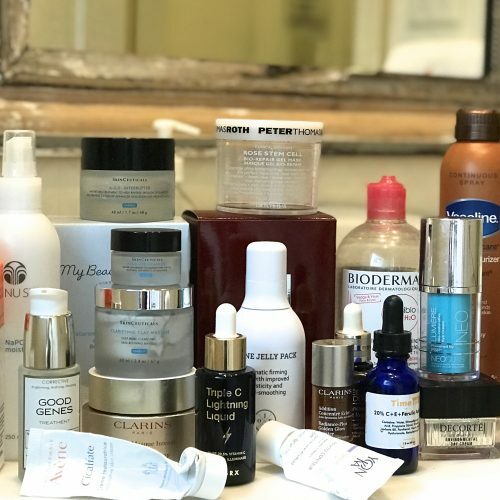 I discovered Cure Natural Aqua Gel when I had dinner with a group of bloggers and beauty industry insiders, and the conversation turned to hidden gem beauty products available on Amazon. 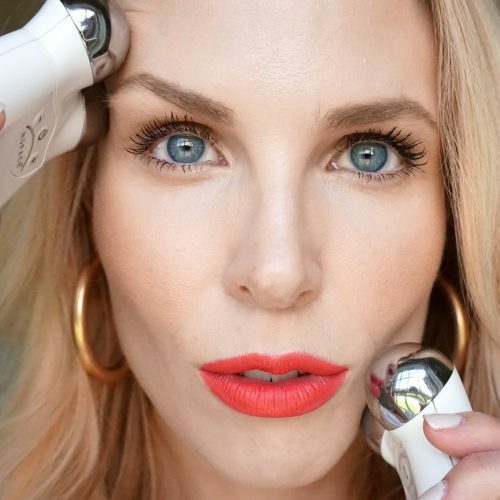 I divulged a secret beauty steal: I order my fave GlamGlow YouthMud and ThirstyMud from Amazon for $30 cheaper than you can find at Sephora (and yes, it is a genuine product from a totally legit seller). Several girls discussed an Asian cult favorite, Baby Foot, which makes the dead skin shed off your feet like a molting snake (ew, but true). And one girl said, “OMG you totally have to try this Cure stuff, it is the most amazing gel mask/exfoliator thing I have ever tried!” So I did a little research on my own, and then ordered. Cure 'Natural' Aqua Gel is a cloudy clear color, and the consistency is that of jello when you take it out of the fridge too early. The product claims to be 90% water; if this is to be believed, I can only assume that the remaining 10% is voodoo magic. 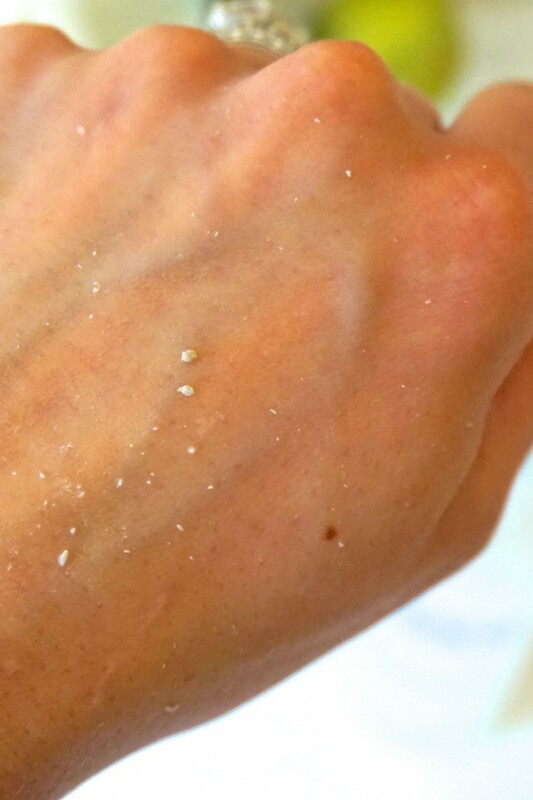 I pumped some into my hand and rubbed it on my face; it's unremarkable at first. There's no lather, no cooling or warming sensation, and no little gritty bits scratching your face, as there is in exfoliating scrubs. 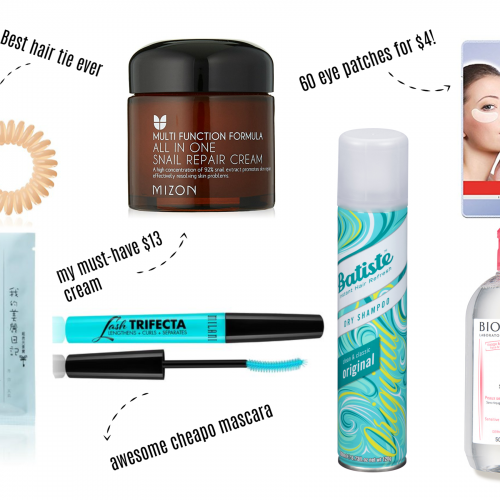 I'm standing there in the mirror, massaging this smooth, watery goop into my face for about fifteen seconds wondering: "What did I just spend 30 dollars on?". Then it happens. As I massage the gel in circles on my face, suddenly that smooth feeling under my fingers starts to get a bit... gritty. I squeeze a bit more gel on my hands and continue, thinking maybe the gel is coagulating or something. The gritty feeling intensifies, and begins to feel more like i'm massaging rice into my face, and upon leaning closer into the mirror, I have to keep myself from screaming. It's skin. Oh god. THERE'S SKIN EVERYWHERE. I felt like a cicada shedding it's exoskeleton; there was balls of dead skin covering every inch of my face and hands. It's like when you were a kid and got craft glue on your hands, and got it off by rubbing them together. Except it's skin, and it's on your face...After rinsing and drying my face, it looked like I just took off a mask; my face was clear, vibrant, soft, and squeaky clean...I've decided i'll always have a bottle of this. This is seriously the best exfoliator I’ve ever found– better than Clarisonic, and definitely better than harsh physical scrubs. 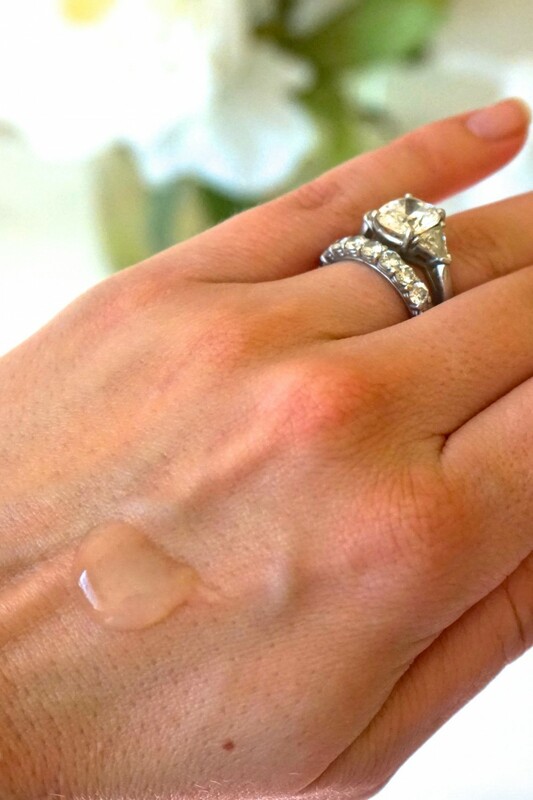 The way Cure Natural Aqua Gel leaves my skin so soft and removes dead skin I didn’t know I had is unparalleled. 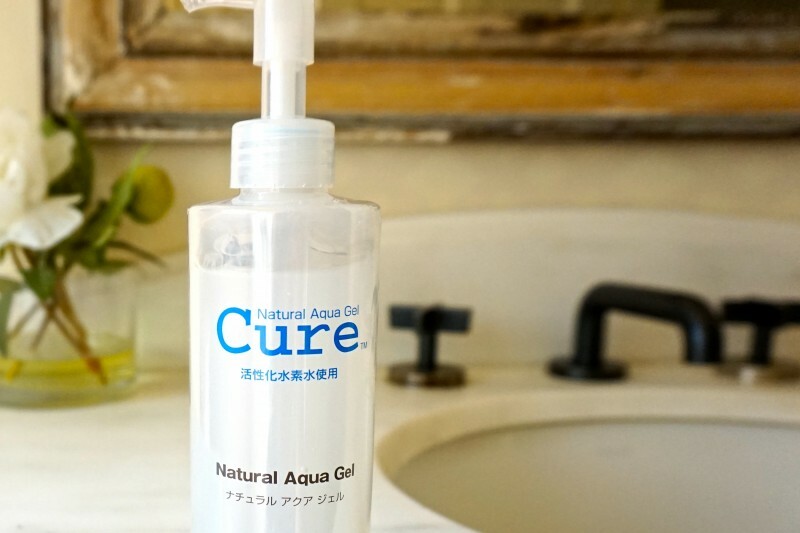 The directions (translated from Japanese) advise to use Cure Natural Aqua Gel twice a week, but applying Cure is so satisfying that I eagerly await my designated application day like it is Christmas morning. 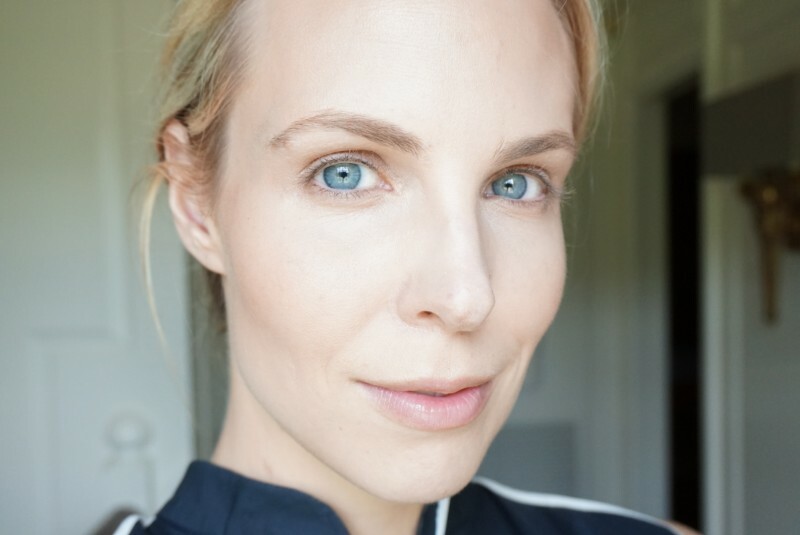 I find myself making excuses to use it more frequently–“I know I just used it yesterday, but I have this little dry skin area on my nose so I’ll just do a spot application…” I want to buy another two bottles so I can bathe my whole body in it before I book my next spray tan on the BeautyNow app. I have no idea what chemical is in there that is so effective at removing dead skin, yet is so gentle. 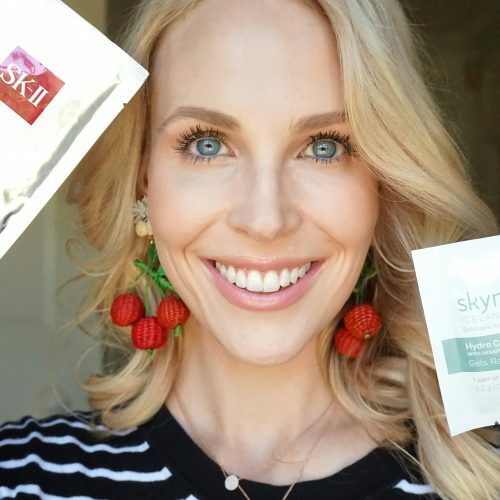 But I guarantee you that unless this secret sauce is patented, we will soon see fancy skincare companies like SK-II and La Prairie selling this stuff in tiny tubes for $250. 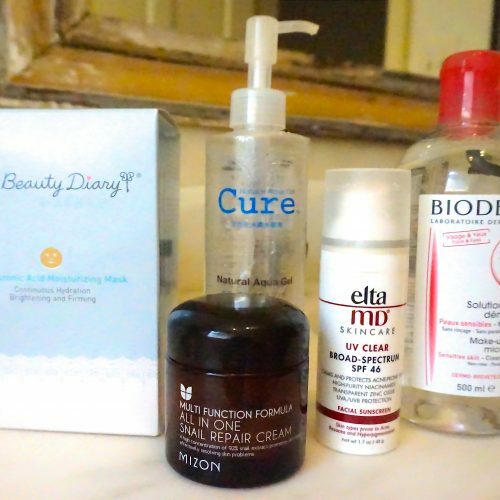 With Cure, you get a generous, face wash size bottle of Cure for $30. 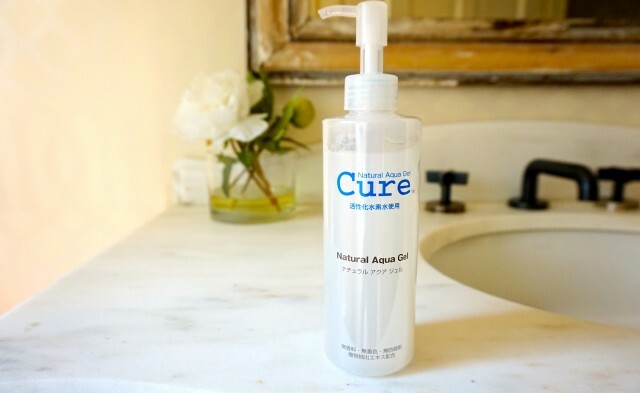 Bottom line: Cure Natural Aqua Gel is the most innovative, impressive skincare product I have come across in recent memory. Trust me, you need this in your life.